Hearing loss is often referred to as a “silent disease.” Both the invisible nature and gradual progression of the condition can make it hard to identify, but one of the early indicators in difficulty hearing high-frequency sounds. Because individuals with high-frequency hearing loss are often able to hear low- to mid-frequency sounds normally, this impairment is sometimes labelled as a “partial deafness” and may still require the use hearing aids to treat the condition. However, the testing methods for a high-frequency hearing loss have been somewhat limited. Fortunately, a group of European researchers have developed a promising new testing process to make high-frequency hearing aid fittings more precise. The Phoneme Perception Test (PPT) is a new audiology testing method that was created to measure the perception of the specific phonemes “s” and “sh.” Phonemes are distinguishing units of sound that are used to differentiate words. This new test measures if there is a difference in recognizing specific phonemes for patients with specific hearing aid settings. Two sets of stimulus materials are used during the test so that researchers can measure how the phoneme is perceived. The first set, (LF) preserves low-level sounds in the low- to mid-frequency range; the second set (nLF) limited the audibility to high-frequency sounds. Researches successfully confirmed that there is a significant difference in the perception of the two sets of stimulus materials. This shows that recognizing and detecting thresholds are better measured in high frequencies using the nFL set. Both sets ought to be used in order to effectively fit hearing devices for those suffering from high-frequency hearing loss. Patients can have greater auditory rehabilitation through the use of PPT, especially in regard to hearing high-frequency sounds. If you’re looking to treat your hearing loss, our team of audiology professionals can help. 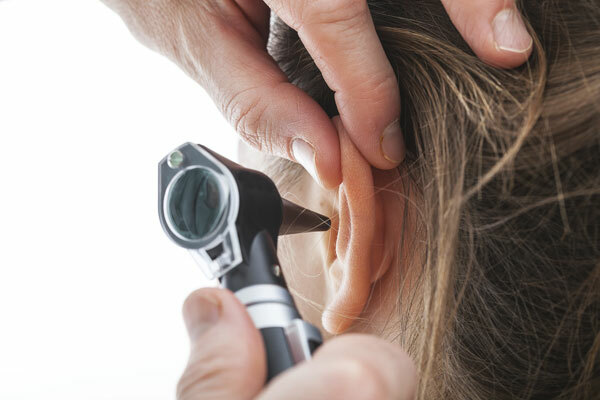 As experts in the industry of hearing health, our audiologists provide highly-specialized auditory services, including comprehensive hearing evaluations, personalized hearing loss treatments and hearing aid repair. To schedule a consultation with San Diego’s best hearing aid providers, contact our clinic at (858) 279-3277.